Why be classified National Nature Reserve ? 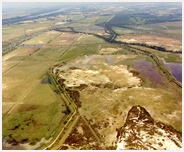 As a property of the “Conservatoire du littoral” national agency, the Vigueirat Marshes benefit of the Natural protected area status, but the successive site managers have emphasized the need to sustain the management and regulation of activities conducted there. For this, the status of National Nature Reserve was soon considered the most suitable status for this wildlife-rich site concentrating such a range of issues concerning protection of nature and development of human activities. A National Nature Reserve is designated by Ministerial Decree to protect some of our most important habitats, species and geology or to ensure the implementation of Community rules or an obligation arising from an international convention. Why to set under the status of National Nature Reserve ? To give managers more resources and more weight in the negociations needed to resolve external threats : hydraulic management depending on other agencies, external pollution, invasive species, disturbance, poaching, etc. the decree n° 2011-1502 of the “Ministère de l’Ecologie, du Développement Durable, des Transports et du Logement”. 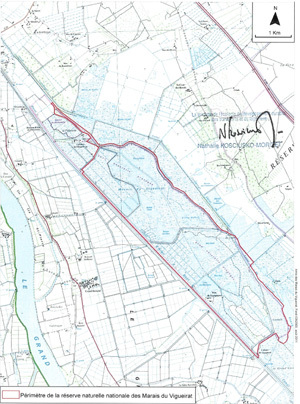 The National Nature Reserve covers 918ha 97a 50ca which ismore than 79% of the total area of the site.